If you read my blog yesterday about how nobody wants to see No. 67 vs. No. 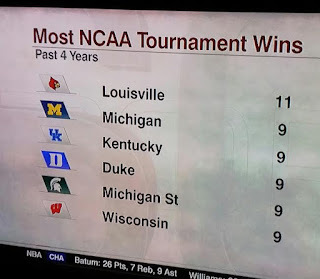 68, here's something else that's stupid about the NCAA tournament field including 68 teams: Schools that don't actually win real tournament games get to claim that they did. Yesterday, Holy Cross beat Southern in a play-in game. The headlines stated "Holy Cross get's first tournament win in 63 years!" From the ESPN.com game recap: "The Crusaders had lost nine consecutive NCAA tournament games since defeating Navy and Wake Forest in 1953..."
There's a reason Holy Cross had lost nine straight: It's a small school from a no-name conference that was a massive underdog against top seeds every time it made the dance. A few years down the road people will see the Crusaders got a tourney win in 2016 and think "Oh wow, who did they upset?" The answer is nobody, because they beat another 16 seed in a stupid "First Four" matchup. As a former Richmond Spider, I take personal offense to this. Richmond, the greatest giant-killer in tournament history, has won eight games as a 12, 13, 14 or 15 seed against actual competition. Holy Cross' "victory" as a No. 16 is extraordinarily cheap by comparison. 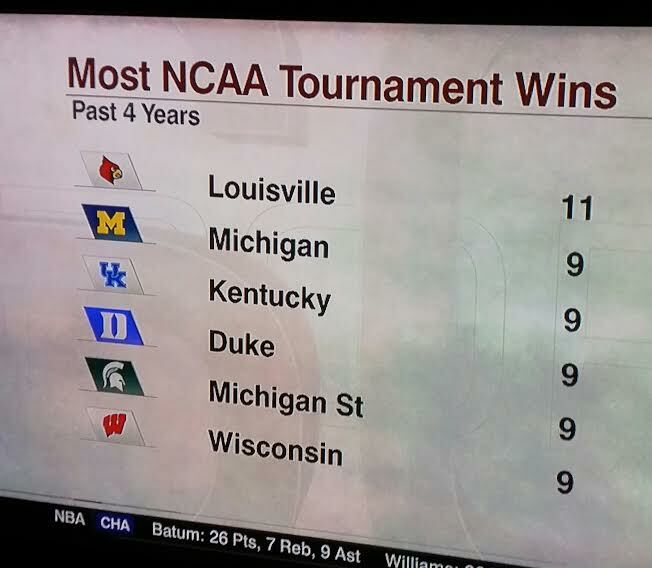 Last night SportsCenter ran the above graphic after 11th-seeded Michigan knocked off fellow No. 11 Tulsa in another not-really-the-tournament-yet contest. The Wolverines shouldn't get to have that ninth W on their resume just because they were bad enough this year to squeak in as one of the final at-large teams and play an extra game against an equally not-good squad.